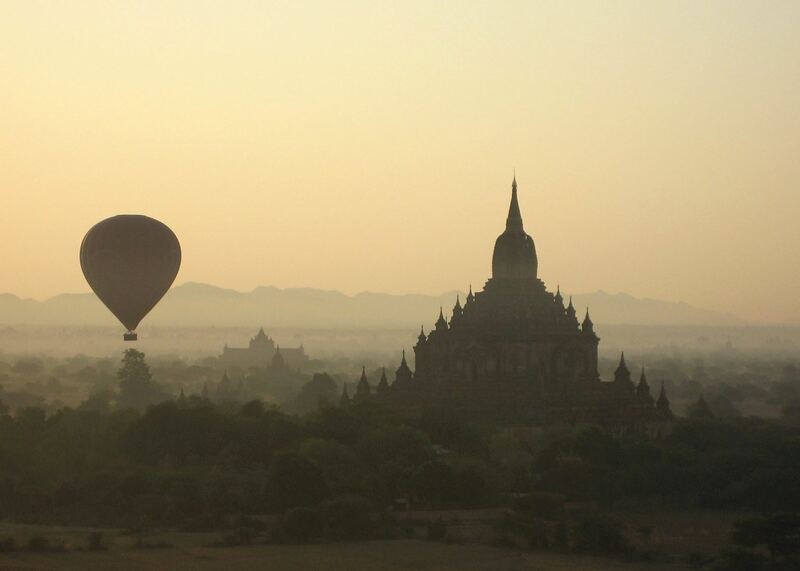 An early morning balloon flight over Bagan is a fantastic way to see the temple landscape. You'll trip will end with light snack and celebratory glass of champagne. 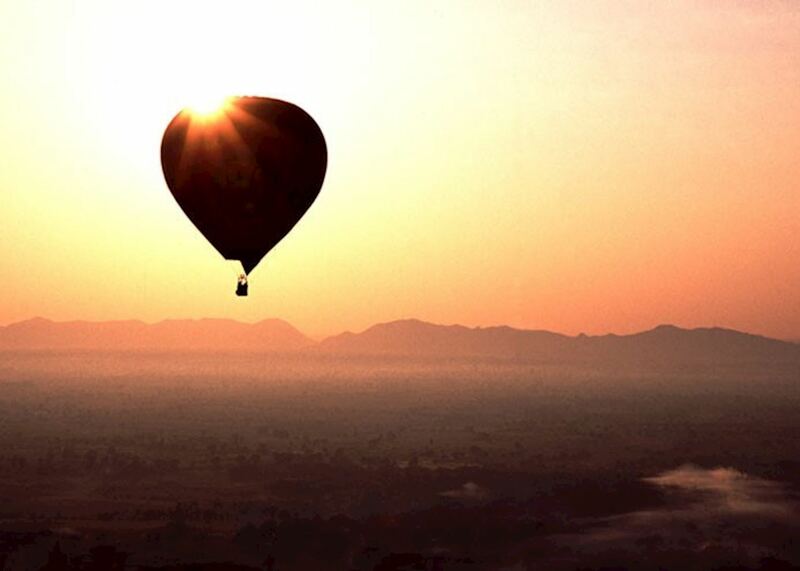 The team will pick you up from your hotel and take you over to the landing site early this morning to make the best use of the cooler and calmer air. Pick-up time is normally around 5.30-6am. 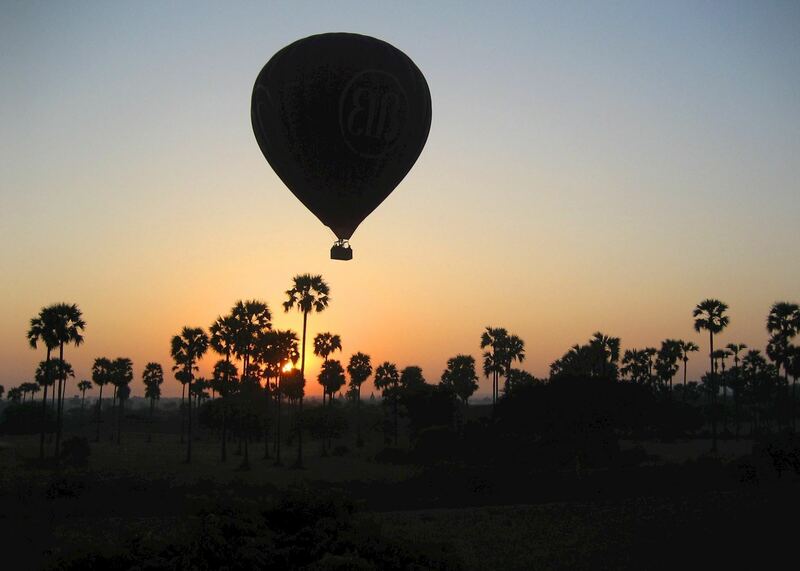 Once briefed, you will board the basket and take to the air floating over Bagan's pagodas on a flight lasting just under an hour. 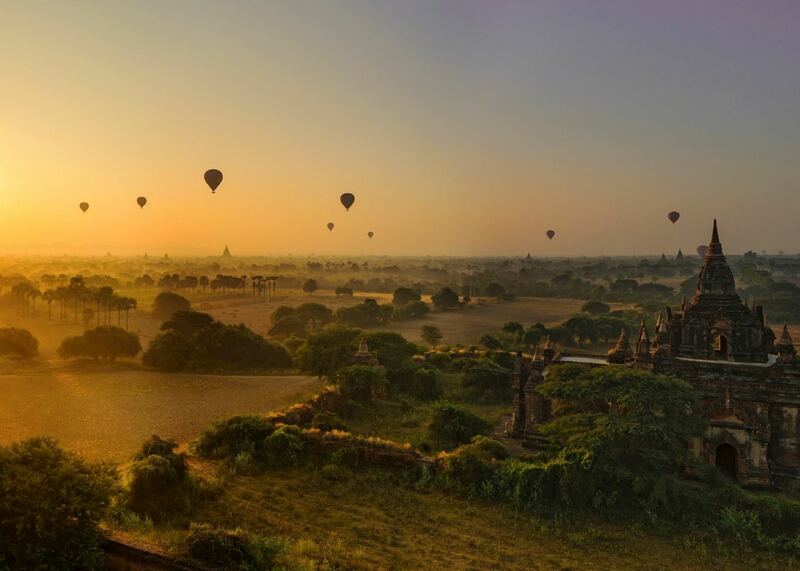 Although dictated by the wind, you will usually land by the banks of the Ayeyarwaddy River where you enjoy a light snack and celebratory glass of wine. 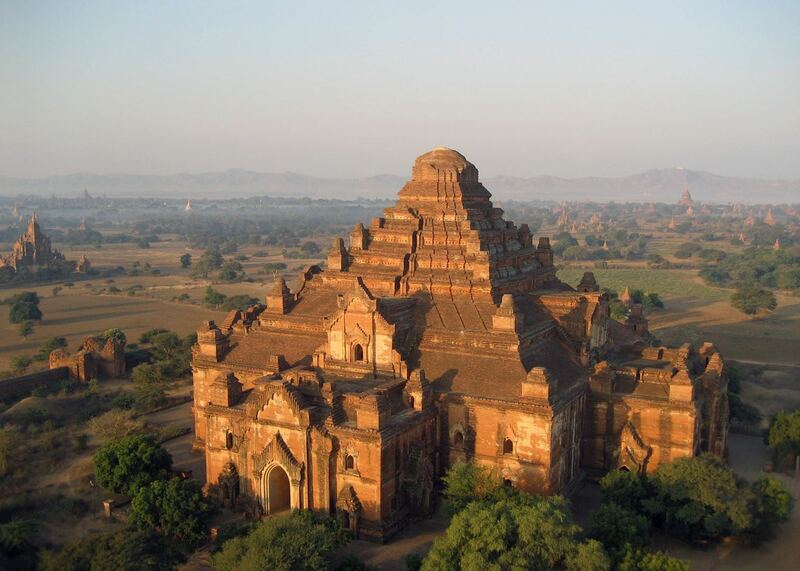 Prepare to be astounded by Bagan, a grassy plain scattered with pagodas. 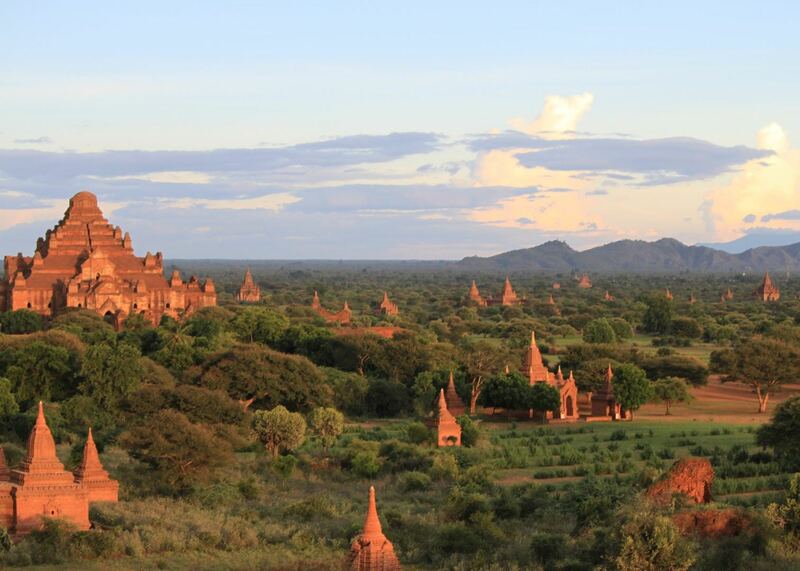 A full day of cycling will take you to the city's most fascinating sites, including the teeming Nyaung Oo Market, the glittering Shwezigon Pagoda, and the atmospheric cave temple of Wetkyi-In Gubyaukgyi. 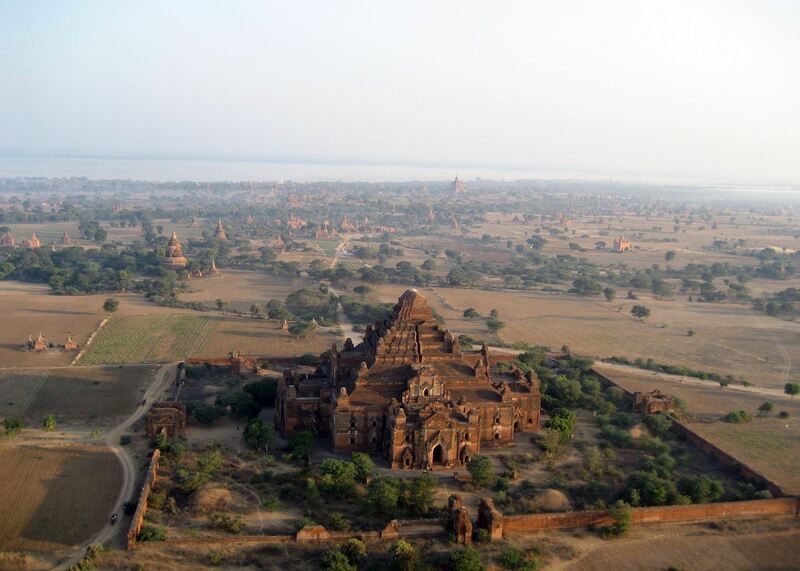 Driving 80 kilometers southeast of Bagan you reach the famous Mount Popa. 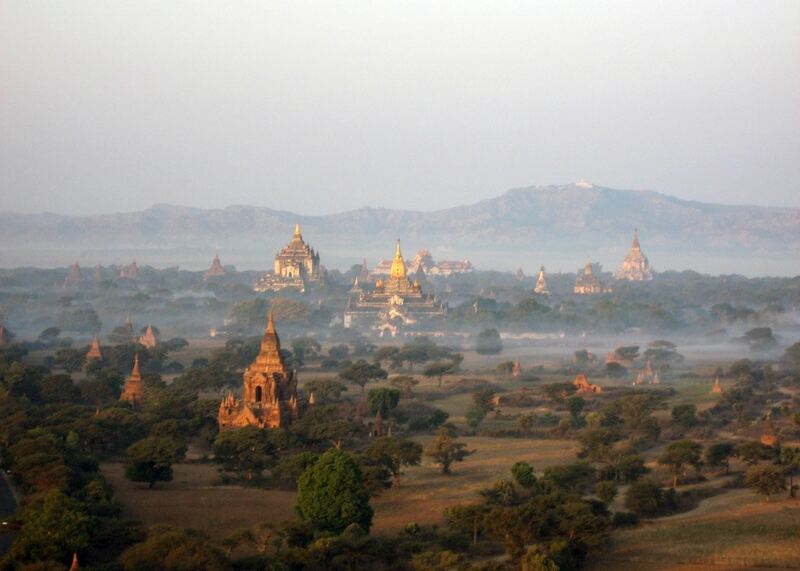 Rising 1,518 meters out of the Ayeyarwaddy flood plain, Mount Popa is one of the most sacred sites in Burma and home to the 'nats'.